LEAD JUDGMENT: SIDI DAUDA BAGE, J.S.C. This is an appeal from the decision of the Court of Appeal, Yola Division delivered on 8th February, 2013 which affirmed the judgment of the learned tried Judge which convicted the Appellant alongside 3 others for the offence of conspiracy and unlawful possession of firearms contrary to Section 5 (6) and 3 (1) of the Robbery and Firearms (Special Provisions) Act 2004. The three other persons with whom the Appellant was charged pleaded guilty and were summarily convicted by the learned trial Judge on 29th July 2009. The Appellant was arraigned alongside three others before the Chief Judge of Taraba State on two counts of conspiracy contrary to Section 5 (6) of the Robbery and Firearms (Special Provisions) Act 2004 punishable under same and illegal possession of firearms contrary to Section 3 (1) of the Act. When arraigned, on 29th July, 2009 before the learned trial Judge, the Appellant and the other 3 with whom he was charged all pleaded guilty to the charges and were summarily convicted and sentenced to N20,000.00 fine in respect of the offence of conspiracy contrary to Section 5 (b) and 10 years imprisonment in respect of the offence of illegal possession of firearms contrary to Section 3 (1) of the Robbery Firearms (Special Provisions) Act 2004. 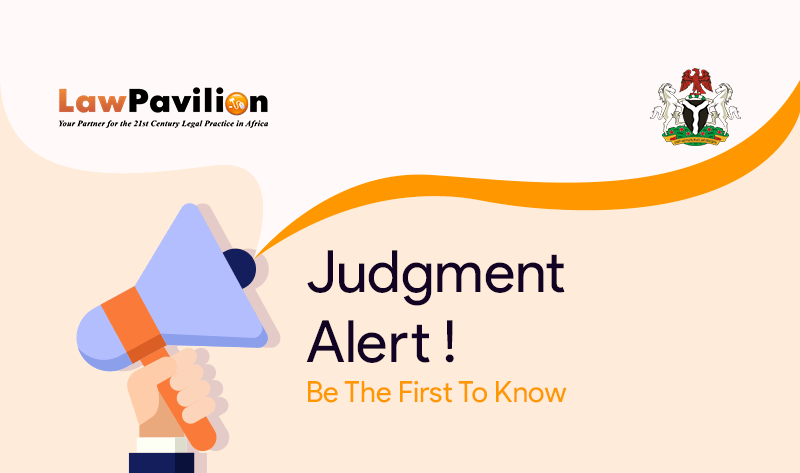 Being dissatisfied with the judgement of the High Court, the Appellant filed an appeal at the Court of Appeal, Yola Division vide a Notice of Appeal dated August 2009. The Court of Appeal also dismissed the appeal in its judgement of 8th February 2013. 1) Whether the learned Justices of the Court below were wrong to have affirmed the judgment of the trial Court which imposed a 10-year sentence on the appellant without an option of fine for the offence of illegal possession of firearms contrary to Section 3 (1) of the Robbery and Firearms (Special Provisions) Act 2004.